There are just under three months until the summer window opens, and clubs will be forming their transfer strategy. With some prospective targets, Arsenal might already be falling behind. But there is also plenty of hope around for the future. Here are the latest updates and rumours for the players Unai Emery's side have been linked with in the last 24 hours. Arsenal may have received a boost from reported transfer target Nicolas Tagliafico as the defender has admitted that it could be time to leave Ajax this summer. football.london understands that head coach Unai Emery is keen to sign a left-back this summer and Tagliafico has rejected Ajax’s offer of a new contract and his representative Ricardo Schlieper has said the defender is now prepared to move on. The 26-year-old is preparing to face Juventus and the likes of Cristiano Ronalo in the Champions League on Wednesday night. This season could be the culmination of a number of years in the Dutch capital as the likes of Frenkie de Jong and Matthijs de Ligt prepare to leave the club this summer. Arsenal and Spurs are two of the teams potentially interested in signing Inter winger Ivan Perisic this summer. The 30-year-old was the subject of interest from the Gunners in January, but could not entice the Inter chiefs with their bid, despite the player being open to a move. Since then, Spurs have been linked with Perisic as Mauricio Pochettino reportedly wants to add more depth to his squad, and feels Perisic will bring in the necessary experience without needing to play every game. And now Corriere dello Sport via Sport Witness state that both north London clubs are interested in signing Perisic in the summer. The Croatia international will still have two years left on his current deal, but Inter would be open to selling Perisic to open up space in their team and on their wage budget as they aim to bring in other players in the transfer window, with a spot in the Champions League next year looking likely. Atletico Madrid midfielder Thomas Partey has stated he is not looking to leave the club this summer, despite being linked with the likes of Arsenal and Manchester United. The 25-year-old has a £43m release clause in his contract that runs to 2023, and with some impressive displays this season Unai Emery is said to have identified him as a potential target for the summer. However, Partey told Cadena COPE that he sees his future in Madrid. "I’ve grown up in Atleti and I am sure I will stay here. "I don’t know of another place that will understand how I play like they do here." 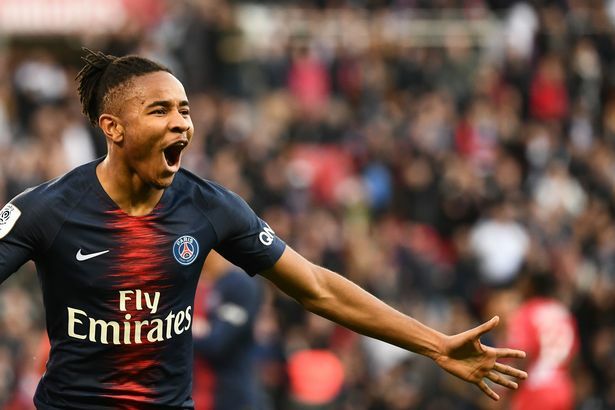 Arsenal are still said to be “in the running” for PSG midfielder Christopher Nkunku, after a deadline-day move for the 21-year-old failed in January. The Gunners attempted to bring in the French midfielder on loan with an option to buy set at around £18m, but PSG wanted more for their young prospect. However, with just a year left on his contract this summer, Unai Emery is still interested in a deal for Nkunku, who Le Parisien via Sport Witness say is “counting on a transfer” after playing-time assurances have not been met. Rennes are also said to have dropped out of the race to sign Nkunku, but PSG are still attempting to initiate contract talks, if only to secure a high price for Nkunku should he choose to leave.